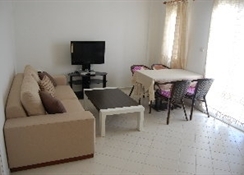 Refurbished in 2011, this small complex of apartment blocks is set in an elevated position and offers simple but pleasant accommodation. 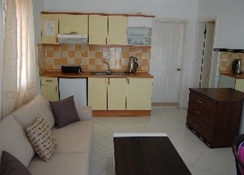 The family-friendly apartment property comprises a total of 10 accommodation units. Facilities on offer to guests at this air-conditioned establishment include a lobby area with a 24-hour reception and check-out service, a hotel safe and a currency exchange facility. There is a restaurant/snack bar and guests will appreciate the wireless Internet access. 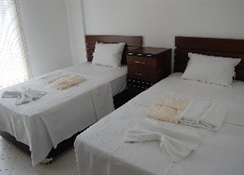 Parking is available for those arriving by car.The property offers 1-bedroom apartments with twin or double beds that are simply but pleasantly furnished. They have a kitchenette suitable for making light meals with dining/seating area and the apartments have either a balcony or terrace. 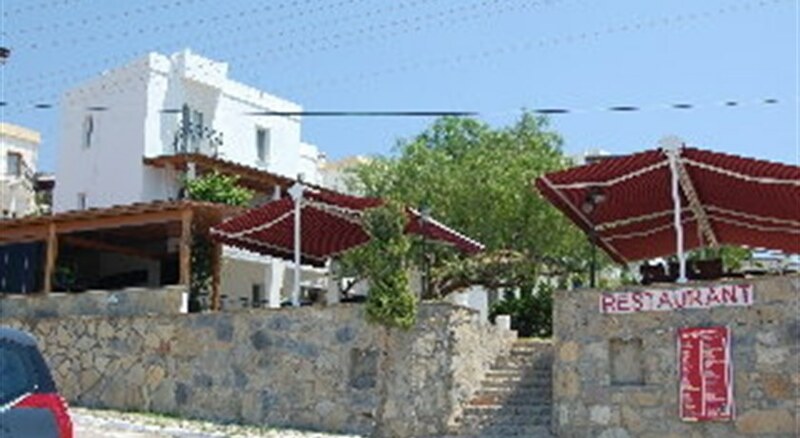 All come with a private bathroom with a shower and a hairdryer and offer a double bed. They are equipped with a TV, wireless Internet access and a safe. Furthermore, a mini fridge, and individually regulated air conditioning and heating are provided in all accommodation units as standard. The apartment complex features an outdoor swimming pool with a poolside snack bar. Guests can enjoy occasional weekly entertainment in the evenings during high season. Moreover, there are stunning views over the bay from the pool terrace, with its sun loungers and parasols. Moreover, there are sun loungers and parasols available for hire on the sandy/pebble beach nearby.